← The Piggy Bank That Saves Money For You! As you can tell by the new bar that has appeared at the right of my posts, I have finally joined twitter! It took me a while to get to grips with WordPress so I get a feeling I will find Twitter just as tricky! 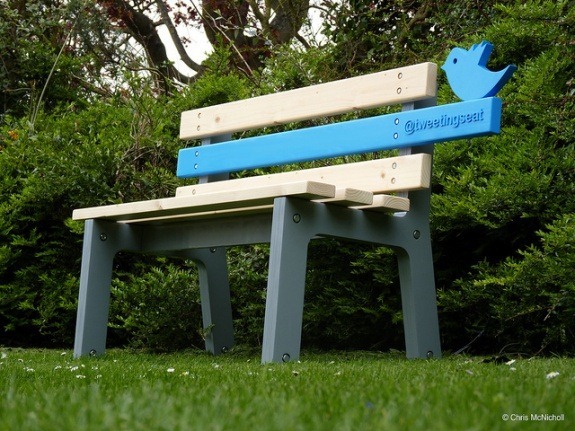 This is the TweetingSeat by Chris McNicholl, an interactive park bench that creates both a physical and digital connection to its users. The bench has its own twitter feed, every time someone sits on the bench, a log is created and photographs from two cameras are taken of the users and how they interact with the bench and the environment. I don’t know if the bench has its own wireless that allows others to sit on the bench and update their own twitter but I hope it does! 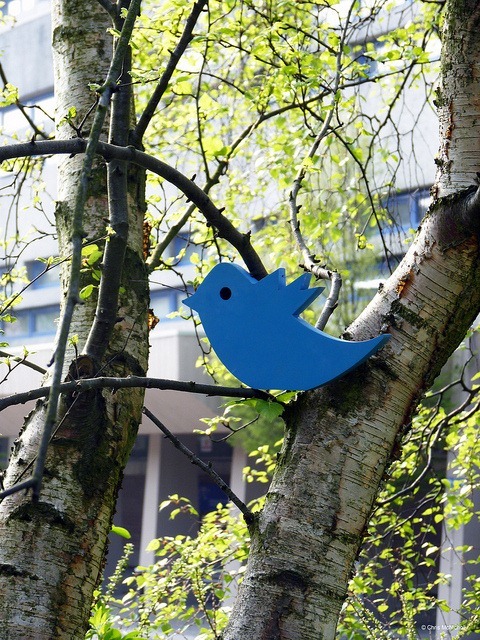 This would be great as you can log your location on twitter and tell the world you are tweeting from the TweetingSeat. 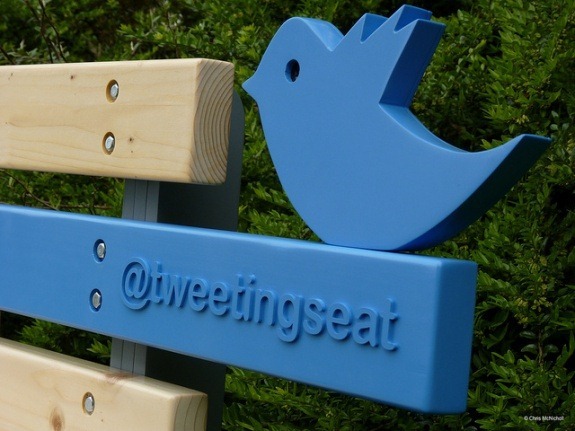 More information on the TweetingSeat is available here.